Now that I have your attention from the catchy title of this week’s blog ….. Walking to work this week, I witnessed several spectacular falls on icy sidewalks. 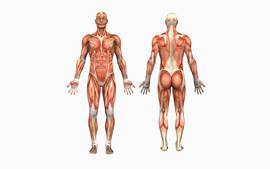 There are two main reasons why these falls occur. Given that we are in the midst of a particularly nasty winter, it is worth our time to take a look at the basic physics behind slipping. It makes sense that these tiny ridges can act to keep the boot from sliding forward on the sidewalk. The number of ridges that a surface has plays a big roll in how much friction is present. Ice, for example, tends to have a much smoother surface. This is part of the reason as to why people slip more readily in icy conditions. How can we tip the scales of physics in our favor? When it is snowy or icy outside, leave your loafers at home. Wear shoes or boots that have lots of tread on the sole. The second physical concept that lands a pedestrian on his or her rear-end is horizontal force. In order to explain this, we need to delve into a bit of physics and geometry. Take a look at the illustration on the right. The black arrow in the triangle represents the line of force that the leg is making with the sidewalk. The more nerdy of us can recall from basic physics that forces can be broken down into components: the vertical component “V” and the horizontal component “H” are noted on the illustration. 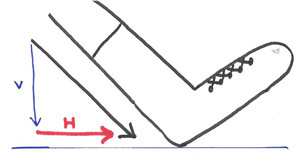 The angle at which the heel strikes the ground is incredibly important, because it changes the amount of horizontal force that is placed by the individual on the ground. 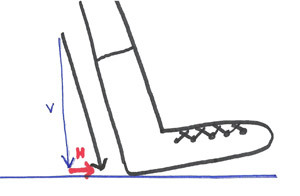 In the above illustration, the red horizontal component “H” represents how much force is being placed to possibly overcome the friction that is keeping the boot in place. The more horizontal force, the more likely the boot is to overcome the friction holding it in place. The result can be slippage. Now take a look at a similar illustration on the right. If you compare the two illustrations, we can see that in the final illustration the boot is striking at an angle that is more “straight down” onto the sidewalk. 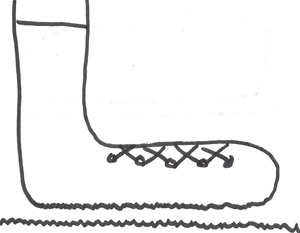 The resultant horizontal component “H” is comparatively smaller, and the boot is less likely to push through the friction that is keeping it in place. In practical terms, take shorter steps! This lessens the horizontal component of force between our boots and the sidewalk. It also helps to visualize exaggerating your shortened steps so that you are stepping more “downwards” in a marching type fashion, rather than “across” in an ice-skating type fashion. One final note…. 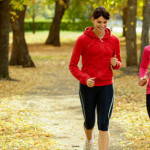 If you are one of those people who like to go jogging outdoors when icy conditions exist, for the reasons just explained, you ought to have your head examined. Great health, geometry, and physics lesson done with humor! I thought it was so helpful that I sent a link to my sisters! I hope 2014 has gotten off to a great start! Best wishes, Mike. 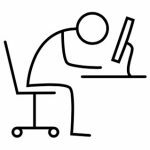 This is a great post – love the humor! My name is Nancy Pham, editor of JustHomeMedical.com. We provide home medical products, such as resistance bands and mobility aids, to help people of all ages live a healthy lifestyle. 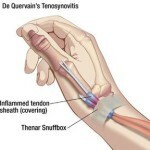 Would you be interested in becoming a medical expert blogger for our Medical Resource Center (http://justhomemedical.com/medical-resource-center/)? This expert advice center includes blog posts and articles written by medical professionals, including nurse practitioners, physical therapists, and dietitians. We can link back to your website or blog in return, and if this work outs, this opportunity could turn into a reoccurring, paid gig. Please let me know if you are interested. I can be reached at nancy@justhealthshops.com. Thank you!